Posted: Tuesday, August 21, 2018. 9:14 pm CST. By BBN Staff: Today, the Belize Bureau of Standards issued a release on new gas prices which take effect at midnight tonight. 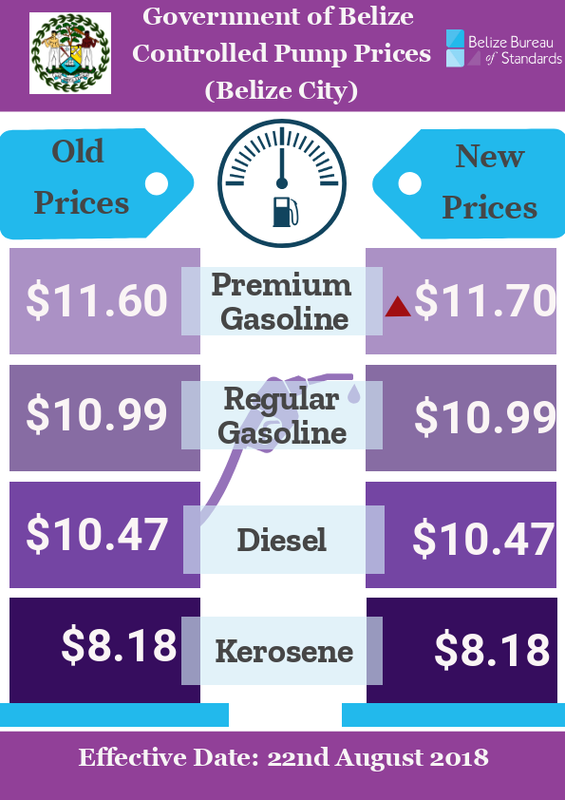 Premium gasoline will see an increase of 10 cents per gallon, going from $11.60 to $11.70. However, the prices for all other fuels remain the same.